I am the type of person always itching for a change. Switching out your phone case is a simple way to make yourself feel like you have a new phone. It is extremely simple create your own custom phone cases so why not make one that fits your personality? I am Anna and am visiting Over the Big Moon to give you this tutorial today! I usually blog at Practical and Pretty and I hope you’ll check it out if you like simple tutorials like this one. These phone cases are only about $5 so you can buy 4 and do all sorts of different quotes or designs! Having a Cricut makes it extremely easy to customize really anything. I have this cut file for you in this post if you just like what I decided to do. 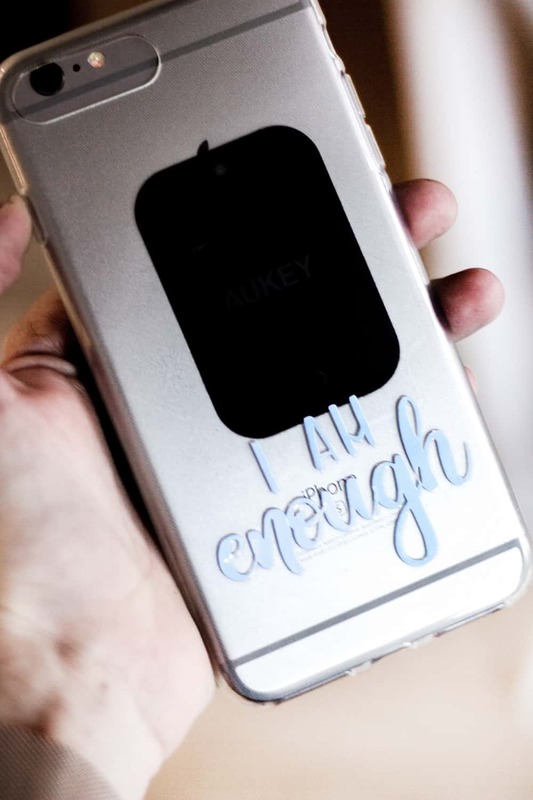 Start with picking what you want your phone case to say! I practice yoga quote often and they usually ask you to set an intention at the beginning of class. I find myself coming back to the ‘I am Enough’ mantra most of the time. As mothers, daughters and employees sometimes we feel as thought we are fall short. But a reminder that you are enough exactly as you are is always important! If you’d like to use the exact file I used go to the design space here. 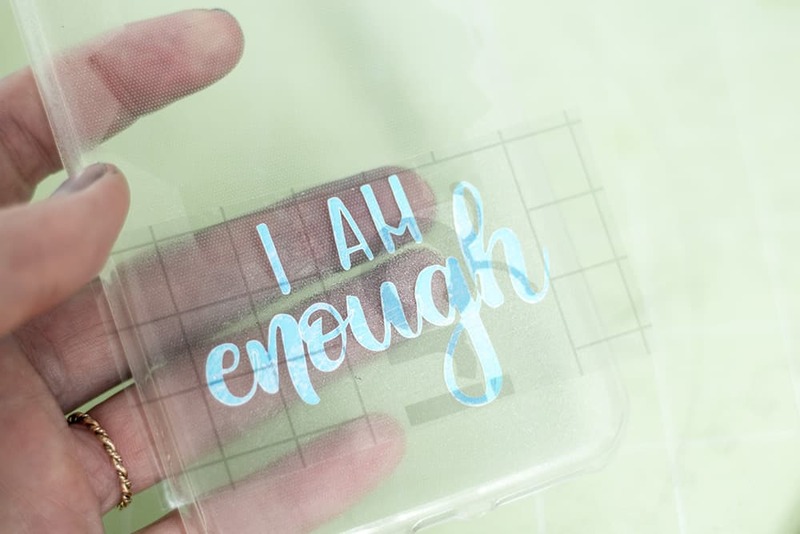 Cut your file and apply it where you’d like it on your phone case! 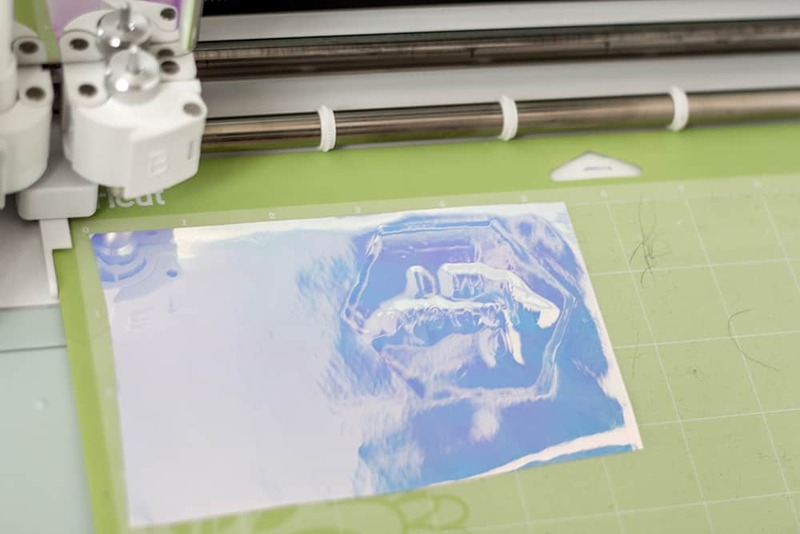 This next step is important to making sure your new customization is there to stay. 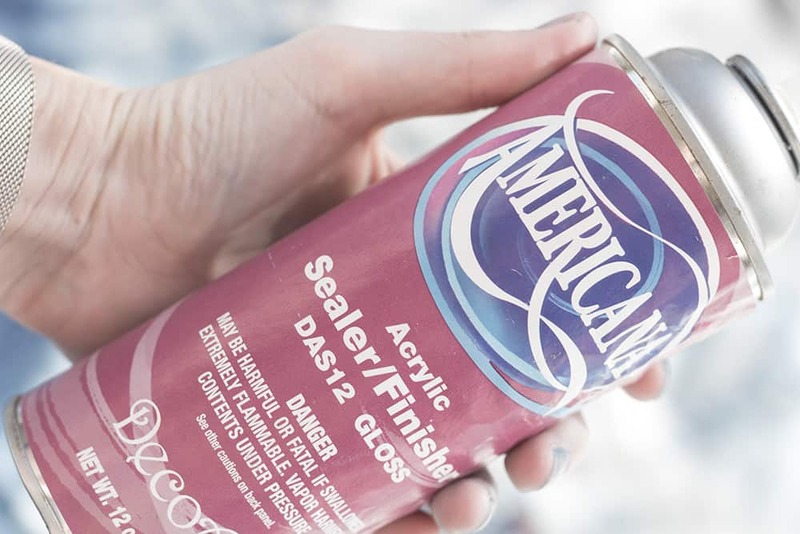 Take your acrylic sealant and spray a light coat. I did this two or three times. This is one of my favorite tricks with vinyl. If you are putting vinyl on a flexible surface like this it will make the vinyl stay a lot longer without peeling! 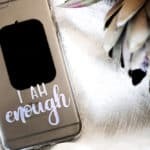 That’s all it takes to create your own custom phone case! Can’t wait to see what you make. your own custom phone cases! What do you think you’ll customize yours to say?